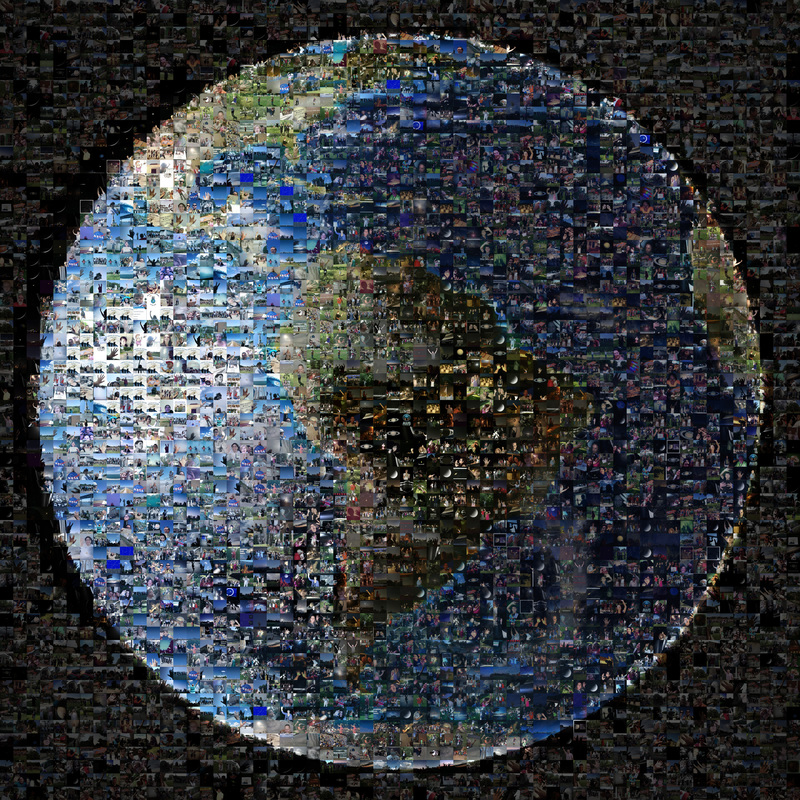 In mid-2013, the Cassini spacecraft took a snapshot of planet Earth while orbiting around Saturn, which was eventually used as the source for this photo mosaic. In celebration of the event, Earthlings were invited to 'wave' at Cassini. These 1,400 photos were used to create the Wave At Cassini photo mosaic. Even though the artist used a bit of colorization, I still love this stunning mosaic. Back in August of this year, William Shatner tweeted to his millions of followers, asking them to submit selfies featuring Spock's signature gesture. No one was sure why, but a week later he unveiled a photo mosaic tribute to his late friend featuring more than 6,000 of these selfies. This is exactly what photo mosaics are all about: uniting thousands of individuals to create one massive work of art. I love it! That's all for now! Here's to a bright 2016 full of fantastic photo mosaic projects!